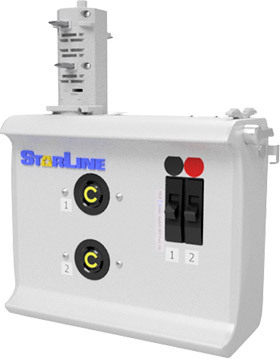 The Starline Track Busway 250, 400, 800 & 1200 amp systems manage to pack a lot of power into a very compact housing style. 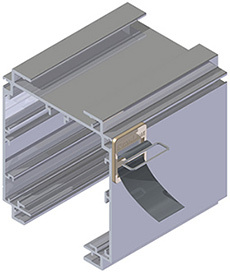 The housing sections consist of spring-pressure type copper channel busbars contained in a full length insulator all within an outer aluminum shell. 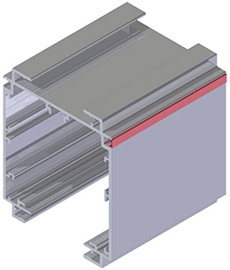 The aluminum extrusion acts as a 100% ground path meeting all necessary standards. 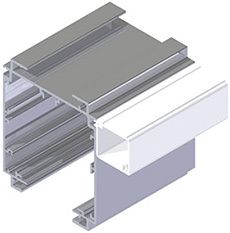 Each housing has a continuous access slot over its entire length, and sections are joined together with bus connectors that fit into the channels of the adjoining sections. Often times there may be a need to make a 90 degree turn, or to make a horizontal 90 degree branch leg in a busway run. When this situation arises a busway tee or elbow can be used by connecting it to the housing section with a joint kit. 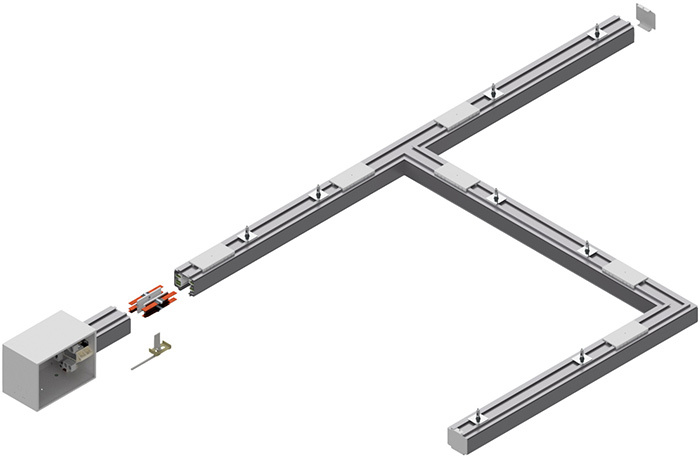 Dependent on the needs of a specific busway layout, end power feed units, top power feeds and center power feeds are all offered. 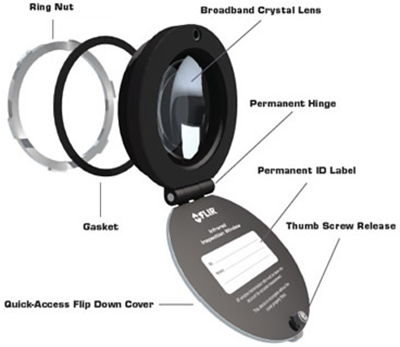 These also include choices such as what lugs are used, size of the box, and optional end feed metering. 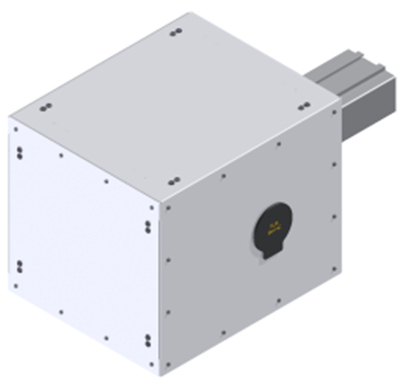 Power feed units vary slightly between the three systems. Consulting further literature or qualified personnel is recommended. 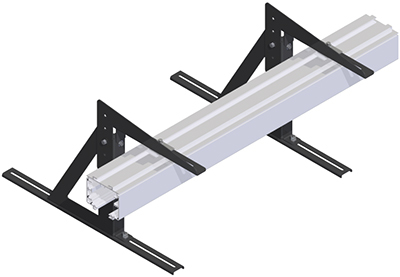 All plug-in units for this series are interchangeable between 250, 400, 800 & 1200 amp systems, and come with a paddle head that is different from all other Starline Track Busway systems. 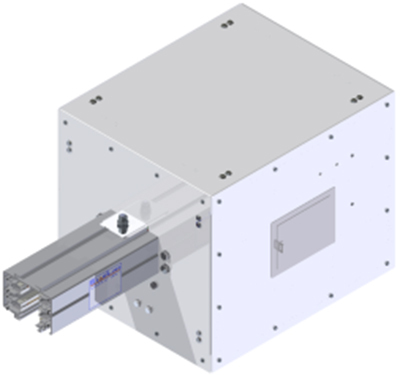 With stabs on both sides of the plug-in unit paddle, the most reliable connection to power is achieved. 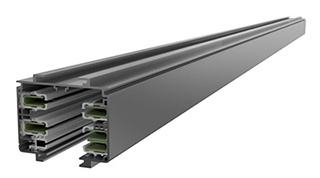 Just insert into the busway’s continuous access slot, turn 90 degrees to make a spring-loaded, reliable connection, and lock in place. 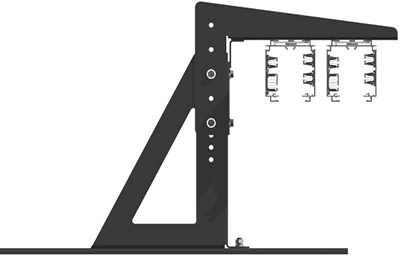 The plug-in units are also completely customizable, including options such as outlet units, drop cords, circuit breakers, fused disconnects and terminal blocks. 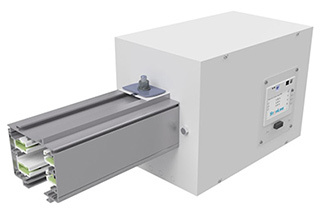 Due to its simplistic design, reliable reputation, and clear benefits of usage, the Starline Track Busway 250, 400, 800 & 1200 amp series has earned its classification of the industry-leading overhead power distribution system for mission critical environments. 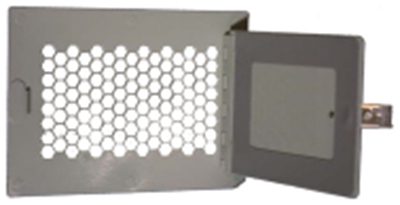 The following accessories can be easily inserted into the data channel that runs along both sides of the busway, and are used to hide or hold cabling, and to suspend other necessary components such as compressed air lines or accessory lighting.